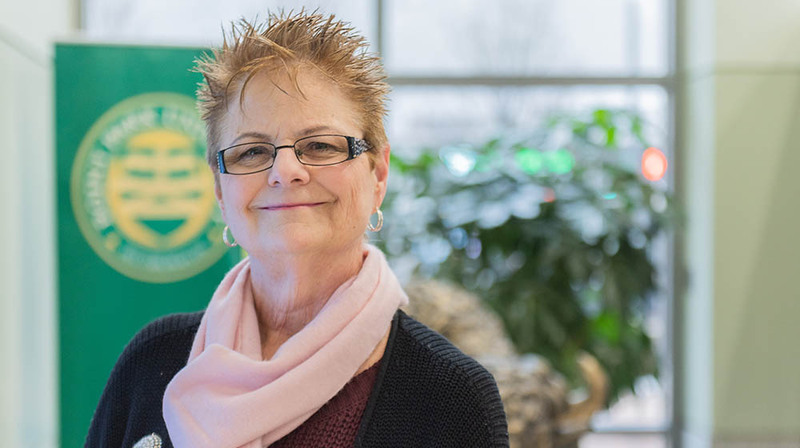 Point Park University college student and 65-year-old grandmother Christina Wonnacott wanted to turn her class assignment into an effort to help others. “I needed to create a four-minute film for my screenwriting class and thought why not make a promotional film that an organization could use to increase awareness and donations?,” said Wonnacott. The Downtown Pittsburgh resident chose Wigs for Kids, a national non-profit organization that provides free, custom-fitted wigs for children 18 years and younger who have experienced a medical-related hair loss. Several years ago, Wonnacott herself experienced hair loss due to an illness. 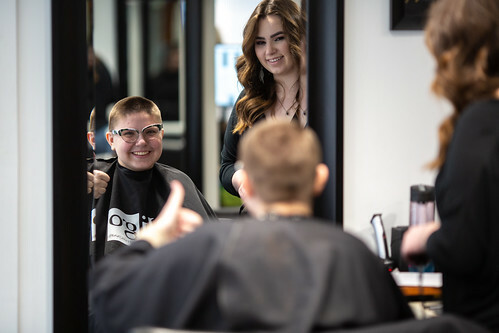 The result of Wonnacott’s effort is a “Cut-A-Thon" and fundraising event Sunday, Feb. 10, from 2 – 6 p.m. at Point Park University's Lawrence Hall. Cardamone’s Salon will provide free haircuts to those donating 12” of hair or longer. Regular haircuts for men and women will also be available. All proceeds will benefit Wigs for Kids. The event is open to the public, and pre-registration is recommended online. Items will be available for sale including Wigs for Kids t-shirts, wristbands, silent auction items, postcards and raffle tickets. Wonnacott hopes to raise $5,000 during the one-day event. As an older, non-traditional student, the opportunity to combine a class assignment with an opportunity to do good for others was just the kind of college experience she was looking for at Point Park. “I returned to school when most people are retiring, but it’s been the best decision of my life,” said Wonnacott who was until recently living in a freshman dorm on campus. According to Keith Paylo, dean of students at Point Park, the University was happy to help Wonnacott and her film director and co-producer, sophomore Dylon Hartigan. “An important part of what we hope our students learn while they are at Point Park is how to help others. The fact that Christina and Dylon turned a class screenwriting assignment into a fundraiser is exactly the kind of effort we encourage,” said Paylo. College activities: Studying, screenwriting and, thanks to Dr. Aleina Smith, the wonderful professor who taught City-University Life last semester, community-engagement projects. Hobbies/interests: Spending time with my two sons, four grandchildren and friends. Plus, film writing, watching movies, historical research and traveling. What led you to pursue a degree at Point Park? I think Point Park is a fabulous learning institution. While I originally applied to four other colleges, I ventured into Staples to fax my transcript requests. There, I met a clerk who was working toward his M.F.A. in writing for the screen and stage at Point Park. He encouraged and inspired me to apply, and I enrolled in 2018. Tell us more about the film you created for your screenwriting class. I wrote the short script entitled "Casting Call" in my Intro to Screenwriting class taught by another great teacher, Professor Steve Cuden. The script inspired the charity event. With the help of our mentor, Cara Friez-LeWinter, chair and assistant professor, the director of the film, Dylon Hartigan, plans to shoot the film after the Wigs For Kids event. Life is full of wondrous opportunities. No matter your age, make a plan. Live your passion. Work hard and make your dreams a reality.